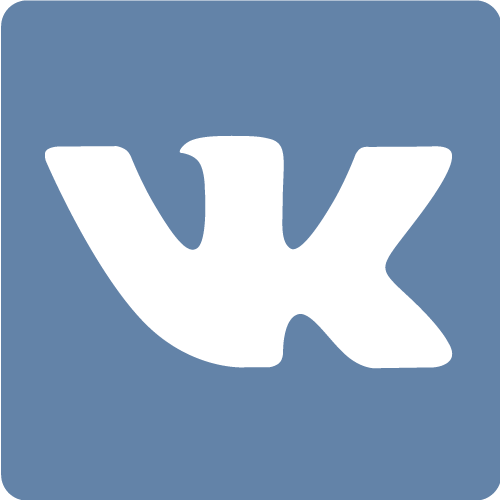 According to a Russian proverb, eggs are like love: both best when they are fresh. 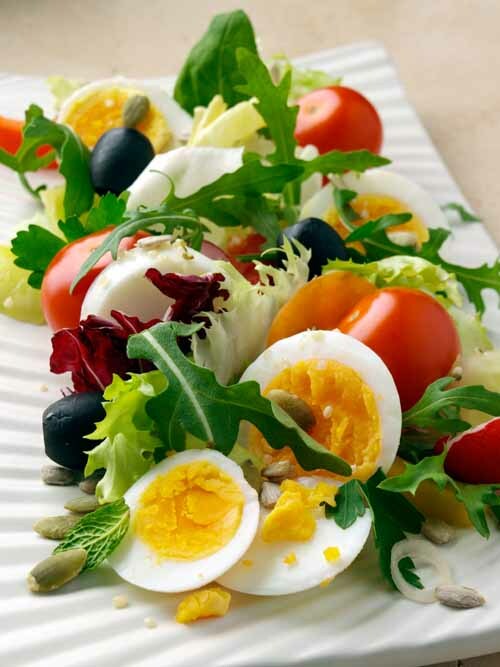 We certainly concur and this Egg Salad is a fresh – and colourful – addition to our range. 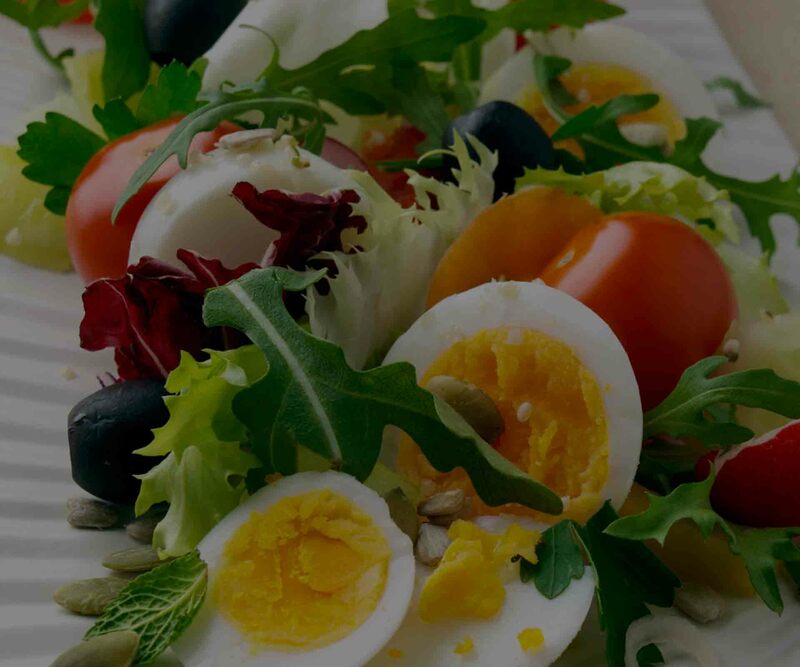 Often referred to as ‘nature’s multivitamin’, eggs are considered a complete food and we use free-range eggs that make this salad burst with nutrition! Organic free-range eggs 26%, green salad leaves, rocket, parsley, radish, tomatoes, cucumbers, peppers, carrots, green olives, seeds (sunflower, flax, pumpkin). Homemade sauce: cucumbers, dill, organic lemon juice, onions, garlic, black pepper, sea salt, olive oil, parsley.